Karine Roy of the Université de Moncton women's hockey team personifies the definition of student-athlete. Playing in her fifth and final year of U Sports eligibility this season, Roy started with the Aigles Bleues program seven years ago. The explanation behind her longevity in the sport at the university level is simple – education took priority. "Even before I started at university, I knew that studying civil engineering and playing hockey would both require a lot of time and effort," says the Moncton veteran, who leads the team with seven goals and 11 points through the first half of the season. "I thought I could find a balance that would allow me to continue playing the sport that I've always loved." Roy was only 17-years-old when she first set foot on campus in Moncton. Like many students, university was her first time living away from home – in her case, Nigadoo, N.B., - a two and a half hour drive away. "I realized quickly that with school and sport, I wouldn't have a lot of time to see my family and find that balance," says Roy. "It was a combination of all those things that led me to leave the team. It was one of the most difficult decisions I've had to make." 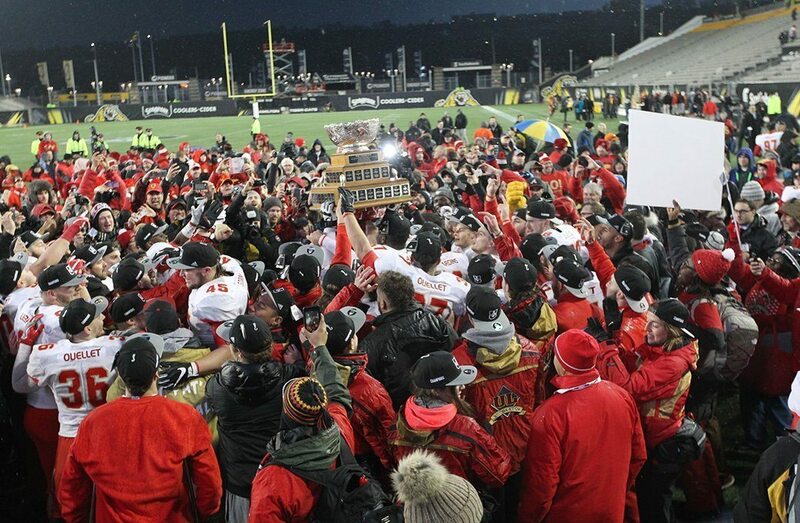 "She's not the first (to leave for academics) and I know we will have situations like that in the future, because school comes first," says Denis Ross, long-time head coach at the Université de Moncton. "That was a good decision for her." Although she was enjoying rowing and had her studies under control, Roy was always planning to return to the varsity hockey team. As soon as she left the team in 2009, she increased the number of courses she was taking each semester, getting some of the tougher engineering courses out of the way. She also took summer courses, all with the goal of being able to play with the varsity team later in her university career. 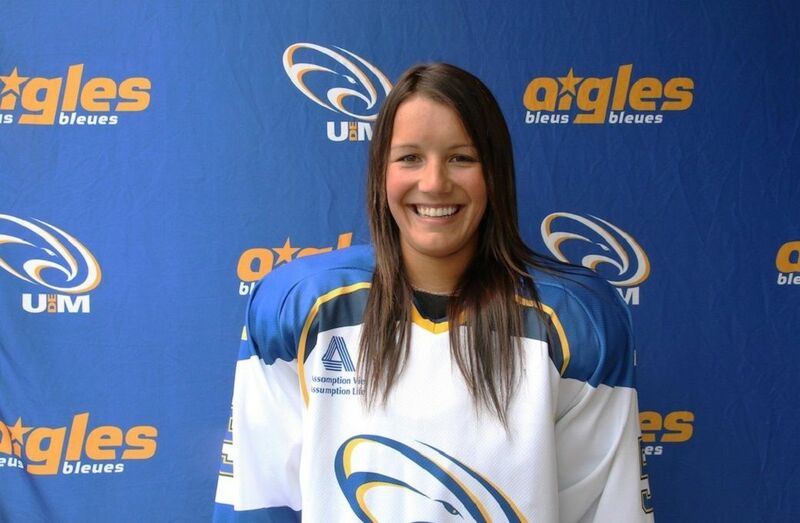 Roy's foresight would pay off, as she was able to play six games for the Aigles Bleues in 2012-13. The following year, she appeared in every game during a special season for the program. "(It) was like a fairy tale," she says, recalling the 2013-14 season. "At the holiday break, we had one win. Despite the losses, we had incredible team spirit – we really formed a family. Everything changed in the second half of the season, and we only lost once. During the playoffs, our rink was always full and we had chills hearing our fans." Moncton won the AUS Championship, with Roy leading the team with four goals in the postseason. At this point, she had completed her degree, but felt that her career wasn't quite over. "Experiences like (2013-14) are rare," she says. 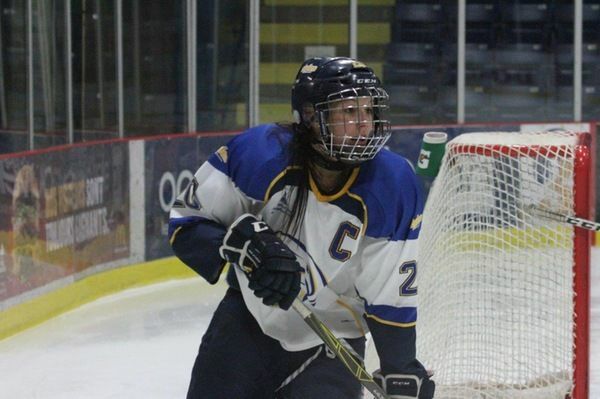 "My competitive hockey career is going to end after university. At that point, I still had two years of eligibility, and I told myself that I can't miss this opportunity." Roy enrolled in Moncton's master's program in the fall of 2015. She hasn't missed a game since rejoining the Aigles Bleues for the second time, and was named the team's captain for the 2016-17 season. "Karine leads by example," says Ross. "We have a very young team, so we need a player with her attitude and maturity on the ice. It's not about what she's saying, she just knows what to do and they follow her lead." Roy still has the puck from her first goal with the Aigles Bleues, scored on November 29,, 2009. To put the length of her varsity career in perspective, four new programs have joined U Sports women's hockey - at Ryerson, Nipissing, Laurentian and Montreal – over the course of Roy's career with Moncton - and she has noticed considerable improvement in all aspects of the sport. "Since I started, not only have the level of talent in the league and the quality of play increased," says Roy. "But people's perception of women's hockey has also improved."